Based in Co. Kilkenny, I create unique wedding, celebration and occasion cakes. 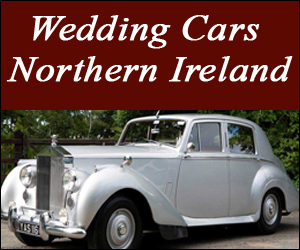 From initial consultation right through to delivery and set up, you will receive a professional and friendly service. Here at A Slice of Heaven, each beautiful cake is made with great attention to detail. All ingredients used are 100% natural, sourced locally where possible. Any dietary requirements, food intolerances, allergies etc. can also be catered for. Choose from the wide selection of designs on our website or avail of the opportunity to have a unique design made especially for you. For more details or simply a chat about how I can help cater for your occasion, don't hesitate to get in touch. 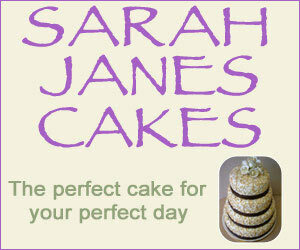 Pride is taken in tailoring your cake to suit your exact needs. 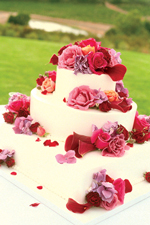 As each wedding day is unique, your cake should also reflect your own personal style. I will work closely with you to ensure this is the case, using creative flair and artistic ability to make sure your wedding cake is all you dreamed it would be. Throwing someone a birthday party? Let me know their hobbies and interests and, similiar to the samples on the right, a personalised cake can be created to celebrate their special day. Is there an occasion coming up that requires a unique cake? The arrival of a new baby or perhaps an anniversary or retirement? Let me know what you are planning and I can tailor my designs to suit you. If you are having trouble coming up with an idea please don't hesitate to call and we can cook up a plan together! Nothing brings a smile to your face like a batch of freshly made cupcakes. Handmade using the finest ingredients and topped with beautiful butter cream icing, they are sure to satisfy any sweet tooth. Available in a range of flavours and custom decorated to suit all needs, these delightful treats are a great option whatever your occasion. Large cupcakes are available in boxes of twelve, mini cupcakes in boxes of thirty. All come beautifully presented in decorative boxes. Brilliant what a great place to get delicious cakes for all the family and I am thinking of having my child's birthday party there! A Slice Of Heaven 5 out of 5 1 user reviews.